I have seen 0 as the record time for a couple medium puzzles of the 5x5 sizes. 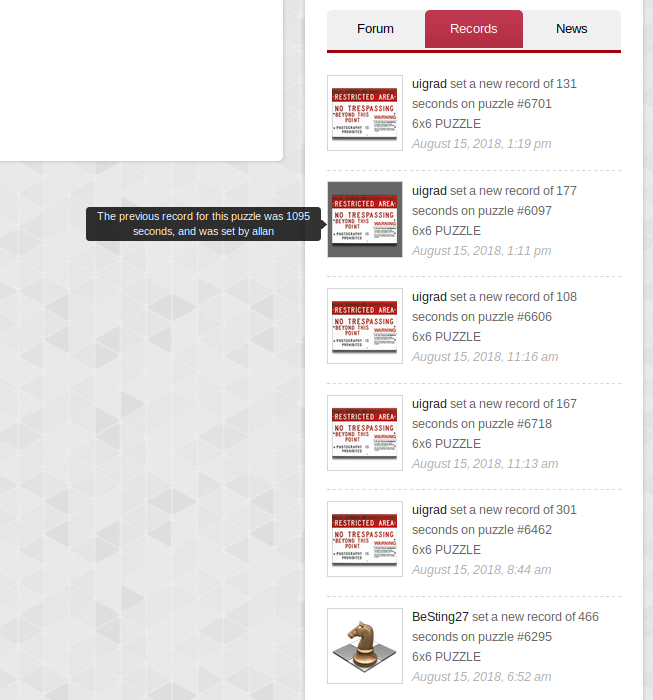 The QIDs for these puzzles were 23697 and 24105 (found by viewing source). 6423 (6x6) also has a time of 0. Since there is a username on it, I'd guess that it was probably only played once, and it was played by that username. Is there fake data used to seed the database for puzzles that have not been played by many people? Last edited by uigrad; 08-15-2018, 08:25 AM.